Longer days, warmer weather and the “ping” of a bat heard across campus can only mean one thing. Baseball season is officially upon us. 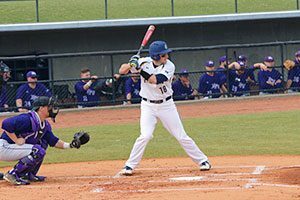 Having won three of its first four games – including a big win on the road against High Point University in the Feb. 19 season opener – the UNCG baseball team is off to its best start since the 2013 season when it started 4-0. This Friday, Saturday and Sunday, the Spartans face off against Binghamton in what will be the first three-game home stand of the season. With 18 of the team’s 32 players in their first year at UNCG – either freshmen or transfers – Head Coach Link Jarrett is excited about the team’s new talent. One of those players is first baseman Michael Goss, a junior who transferred from Chattanooga State Community College. “He’s probably the best defensive first baseman we’ve had in the past four years,” Jarrett said. UNCG is also returning some key seniors, including outfielder L.J. Kalawaia, who missed all last season due to a preseason injury. Last season, the Spartans struggled early on with injuries and finished 12-12 in the Southern Conference (SoCon). Despite some setbacks, UNCG notched a huge upset over No. 17 UNC Chapel Hill on the road and beat Wake Forest and NC State at home, proving that it can compete with just about anyone. Looking ahead, Jarrett expects to face stiff competition in SoCon play. Both Wofford and Samford are returning key players, and Mercer – last season’s SoCon Champion – is expected to finish at the top of the conference. 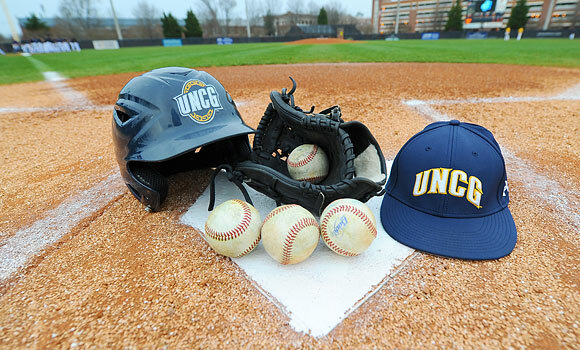 All UNCG baseball games are free and open to the public. For more information and to view the full baseball schedule, click here.